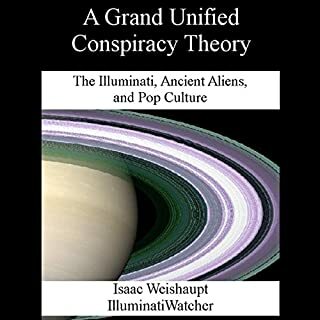 In this book, author and independent researcher Isaac Weishaupt presents conspiracy theories and analysis from Stanley Kubrick's most popular films - 2001: A Space Odyssey, A Clockwork Orange, The Shining, and Eyes Wide Shut. 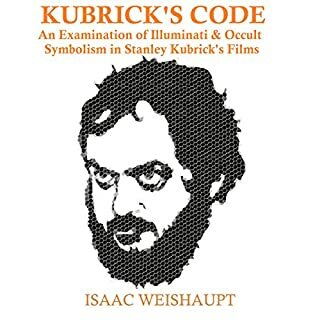 Learn all about the conspiracy theory of the secret message Kubrick tried to convey about the occult and the Illuminati before his untimely passing. 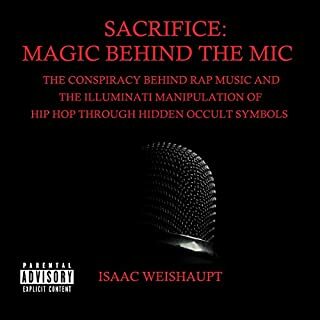 Take a journey to the dark side of hip hop where the independent researcher, Isaac Weishaupt, lays out the global Illuminati agenda for all to see. In this explicit exposé, he'll explain the origins of hip hop and tell you who the key players are that allow this manipulation to transpire. Examples of powerful occult secrets and magic rituals are presented to the listener, with an explanation of why they're being subjected to such disorder. This is a comprehensive beginner's guide to all things conspiracy! Learn how to decode Illuminati symbolism that's hidden in plain sight with the help of an expert in spotting occult secrets. Conspiracy theorists like David Icke got you confused? Wondering how a reptilian can live among us and shape shift in and out of our dimensions? Are your favorite entertainers part of a transhumanistic alien agenda with mind control signals coming from Saturn and the Moon? 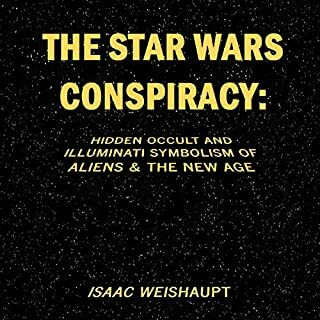 In this revealing analysis of the entire Star Wars film collection; conspiracy theorist Isaac Weishaupt explains the hidden occult messages that are the true agenda of the mysterious shadow group referred to as the "Illuminati". 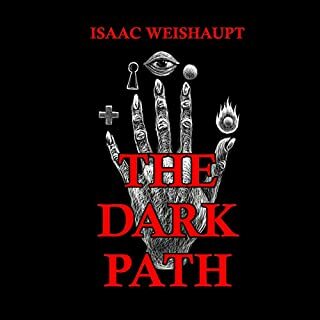 Weishaupt uses examples from the Star Wars films to break down the future goals of the Illuminati and the world they are attempting to create for themselves as part of their "evolution of consciousness". Love this idea! very mind expanding! The very strange but nevertheless true story of the dark underbelly of a 1960s hippie utopia. Laurel Canyon in the 1960s and early 1970s was a magical place where a dizzying array of musical artists congregated to create much of the music that provided the soundtrack to those turbulent times. But there was a dark side to that scene as well. Many didn't make it out alive, and many of those deaths remain shrouded in mystery to this day. The Illuminati is everywhere! 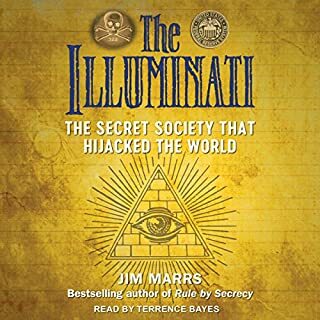 Imagine a world controlled and manipulated by an occult secret society made up of the world's most powerful political and financial families. This is no imaginary world - it's a reality! Satanic Ritual abuse is an extreme, sadistic form of abuse against children and non-consenting adults. It is a methodical, systematic sexual, physical, emotional, and spiritual abuse, which often includes mind control, torture, and highly illegal and immoral activities. It's Just a Jump to the Left: The Unauthorized Guide to Occult Symbolism in The Rocky Horror Picture Show breaks down the occult symbolism hidden in the cult classic film known as The Rocky Horror Picture Show. If you're a life-long fan of this tale, than I can't advise you enough to listen to this book, because it will change your entire outlook of this film! In The Desert Enigma: An Analysis of Occult Symbolism in Paulo Coelho's The Alchemist, author, blogger, and independent investigator Isaac "The IlluminatiWatcher" Weishaupt reveals the hidden occult messages found in Paulo Coelho's novel The Alchemist. This analysis takes an honest look at the history of author Paulo Coelho and his degrees of separation from ceremonial magick, Aleister Crowley, Charles Manson, Kenneth Grant, Alejandro Jodorowsky, witchcraft, satanism, and more. 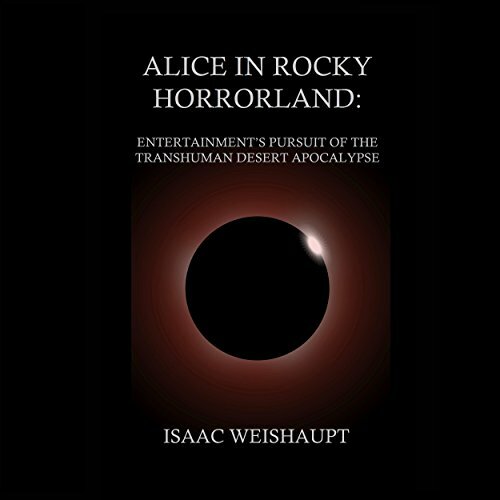 The project referred to as Alice in Rocky Horrorland: Entertainment's Pursuit of the Transhuman Desert Apocalypse is a compilation of various research efforts to expose the entertainment industry's attempt to implant certain messages and themes into humanity's subconscious via pop culture. Many of us have participated in these events; whether it was enjoying the tale of Alice in Wonderland and her occult initiation into the underground or the sexualization of the androgynous aliens of The Rocky Horror Picture Show and their dance across the Abyss (you didn't think the Time Warp song was just in good humor did you? ); you're sure to change the way you view these works of art after considering the evidence that lies within. The Illuminati end game is total annihilation and this new world order will be established through their evolution of consciousness which craftily guides the unaware through New Age agendas found within Paulo Coelho's best-selling tale: The Alchemist. The ultimate apocalypse will be the final push of man into the digital substrate known as transhumanism, where the final mark of the beast will be imprinted on all those who aren't awake to the agenda. Love his work. This is another classic. Great packaged purchased getting 4-n-1! GREAT DEAL! I truly love his work and even his ability to remain objective at times and laugh at some of the more extreme theories. He seems to have an intelligent and thoughtout perspective on the Occult. This book was a very in depth look at all the titles included in this book. He really breaks down each subject to give clearer in site.